When co-founder and brand visionary Katy Hover-Smoot couldn't find a functional layering system she felt good rocking around town, she took the next logical step: start a women's apparel company and build her own. Launching Wild Rye a mere seven months ago with a line of technical mountain bike apparel, and following it up four months later with a first stab at winter apparel, the brand is anything but seasoned— but you'd never guess it. 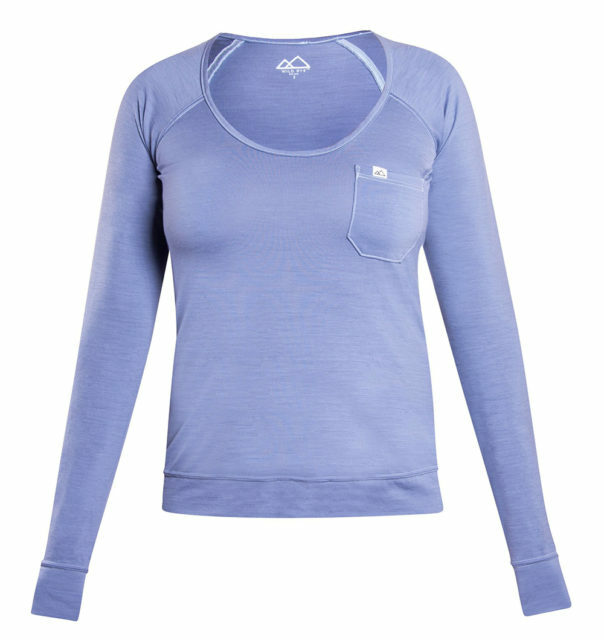 Born of a need to fill a void for the average adventurous gal between uber-technical, tight-fitting baselayers and something a little more comfortable you'd opt to hang out in, Wild Rye's apparel isn't the most technical apparel you'll ever own—but they don't need to be. As Hover-Smoot figured, most of us aren't summiting Cho'Oyu, and just need something that fits well for real life adventures, on and off the mountain. 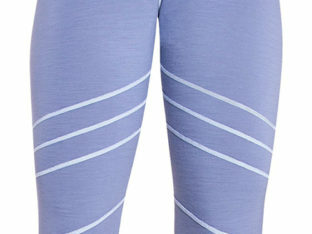 The three pieces in Wild Rye's winter line—leggings, shirt, and pullover—have the functionality you'd expect out of any self-respecting outdoor brand (thanks, primarily, to their use of merino wool), but attention to women's-specific fit and subtle design elements raise the bar for these baselayers. The extra-thick waistband on the KT Leggings is covered in polka-dots and slightly high-waisted, falling a couple inches above my relatively low-waisted snow pants. It wasn't something that I understood right away, but the longer I wore them the more I appreciated that there wasn't a tight, thin piece of spandex digging into the lower, soft part of my belly giving the illusion of a muffin top where there really isn't one. On short, mellow afternoon tours in the San Juans where I wasn't dripping in sweat, breathability and moisture-management were easy and efficient in both the leggings and their counterpart, the Penny Raglan. A long-sleeved, deep scoop-neck shirt with a slight (barely noticeable to the eye) flare at the bottom, Penny fits more like a dress shirt than a piece of technical apparel. The little bit of extra room at the bottom takes what would otherwise be another spandex-like baselayer shirt and gives it just enough space to follow the natural contour from waist to hip, making the fit consistent (read: not too tight) from shoulder to hip. The inherent properties of merino were clutch when temperatures ranged from mid-40s at the trailhead to downright chilly at the summit. The natural ability of wool to regulate body temperatures helped keep me cool on the uphill (moisture stored in the fiber evaporates when body temps rise, creating a cooling effect), and contributed to warmth at the summit (the natural crimp of the fiber traps dead air, creating an insulating effect). Following suit, the Lora Mid-Weight takes the same shape and merino properties of the Penny Raglan into a slightly heavier pullover-style layer. The offset snap closure on the neck adds just enough of a classy design element to an otherwise un-classy category, which meant I didn't have any trouble going from trailhead to town and back again. Sizing on all three pieces runs true, so no need to skew one way or the other.